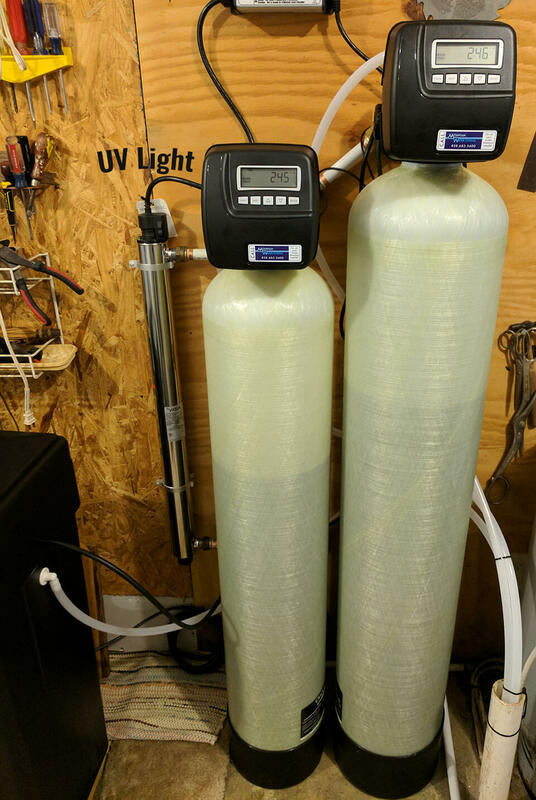 This longtime customer was ready to upgrade their water softener. The old softener was using so much more salt to remove hard water from the well; it just was not cost effective. Something was wrong. It was time for a water test! We discovered during the free water testing we provide that they also had iron in the water and a bacteria issue. So we installed our USA Made filtration system. An Iron filter for orange color staining in the bathtub and sinks. A water softener for the hard water and a UV light for bacteria problems. After the install, they noticed a huge improvement! And they are delighted with the upgrade results. Here at Mountain Water Systems, we not only sell top of the line water filtration systems (USA Made), but our service after the sell is second to none! Bring your sample of water to the office, for our free testing today!